One level condo for sale in Barre Town WITH NO MONTHLY ASSOCIATION FEES! 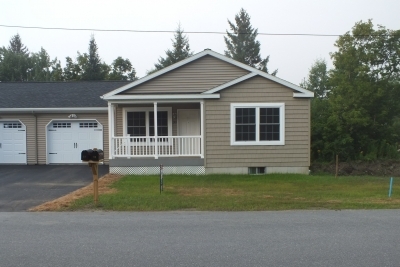 30 Daniels Drive features 3 bedrooms and 2 bathrooms with a spacious 1,280 square feet. The perfect solution to downsizing or independent living you've been looking for! This beautiful home has an attached garage, basement storage, covered front porch, AND a rear patio with privacy fencing. Easy access to Montpelier, Barre, and I-89. Only 20 minutes to the Waterbury/Stowe area.